We were so young and in love, we couldn’t imagine it any other way. And then our sweet babies started arriving. By the time we’d had four within five years, that sage advice was easy to overlook. We were playing an outnumbered zone defense, drowning in diapers, and trying to keep our parenting heads above water. But when we felt ourselves drifting away from each other in the craziness of day-to-day life, we took those early words to heart. We made it a priority to schedule babysitters, to dress up in whatever clothes had been spared the strained carrot stains, and to very deliberately look into each other’s eyes over a glass of wine and a meal that didn’t have to be cut into tiny, bite-sized pieces. Here’s the thing… conscientious, loving parents will always meet their children’s needs, but it’s easy to forget their own. When the babies are grown and gone, you and your partner (barring any unexpected catastrophes of love or life) will still be together. That relationship must be continually fed and fortified. Loving and enjoying each other—especially in the throes of parenting—is the greatest gift you can give yourselves… and your children. Buy a digital clock for each child’s room. If anyone wakes up before 7:00, he or she is welcome to play quietly inside the room, read books, build LEGOs, orchestrate stuffed animal tea parties. But family time doesn’t begin before 7:00 AM. 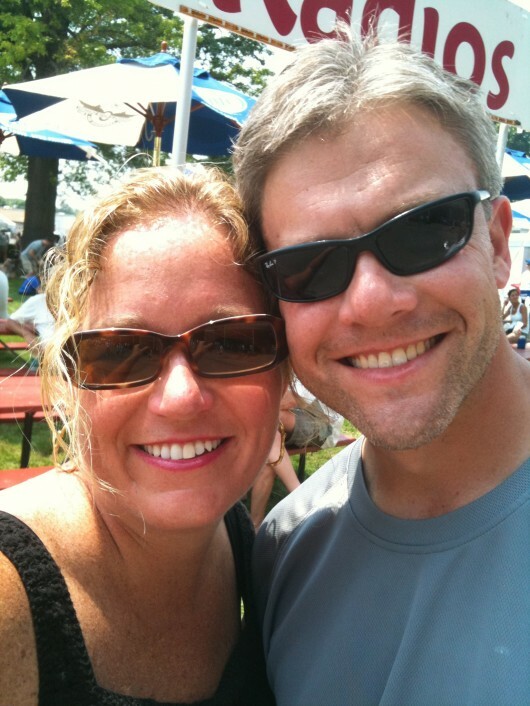 With four kids under five, this was a lifesaver—and a non-negotiable rule—for us. 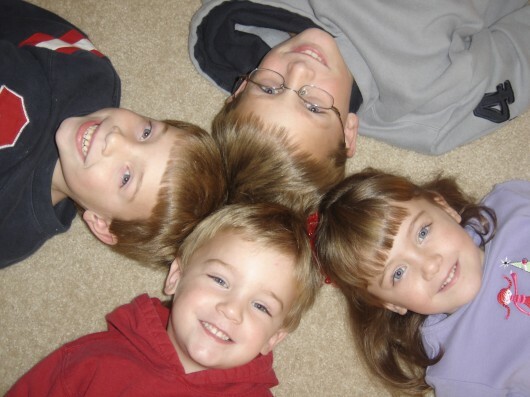 We all established healthy sleep patterns, and our kids learned the fine art of entertaining themselves. And the best part? That inevitable 7:00 AM scramble when four warm, little bodies—complete with bedhead—would fling themselves into our king-sized bed to begin the day. If there’s a 12-step program for lotion and potion overuse, someone is going to have to turn me in. 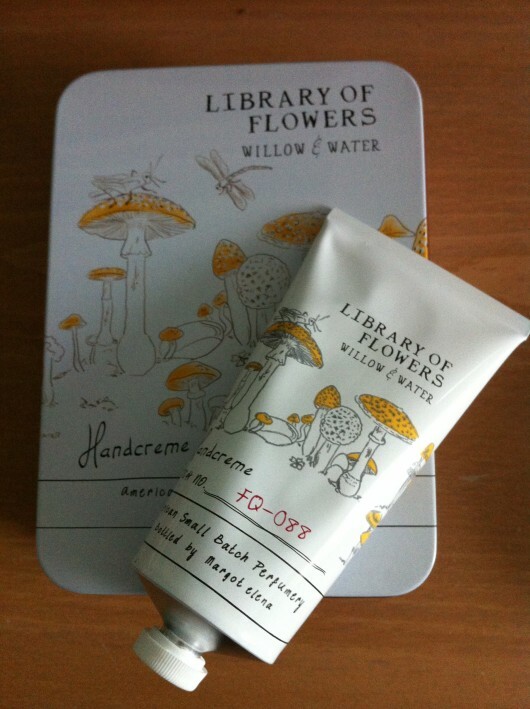 Because I’ve recently discovered Library of Flowers handcreme, and I cannot stop using (and inhaling) it. In fact, I sometimes get a crazy little hankering to to eat it—that’s how absolutely yummy it is! My favorite scent is Willow and Water, but all the selections are decadent. And the product presentation is creatively, gorgeously inspired. I’m on my third tube of scrumptiousness, and I’ve saved all the original packaging. Someday, I might do something crafty with the cute little tins my Willow and Water arrives in, but for now, I’m content to just collect them and smell them and love them. They make me smile. It’s a Library, friends! A Library of Flowers! Check out the book based on her blog: Table for Six: The Extraordinary Tales of An Ordinary Family and watch closely for her fiction debut, Parting Gifts, arriving online and in stores in 2014!